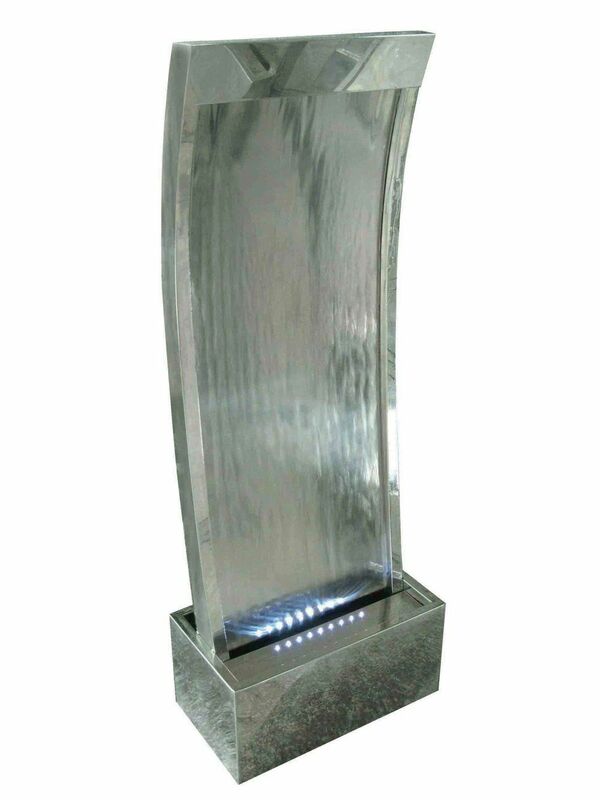 A beautiful stainless steel self contained water feature, the water wall style feature is curve shaped and creates a soothing atmosphere as the water shimmers gently down. The water is lit by an LED light strip. This feature will enhance any garden or home and impressive detailing is kept to a manageable weight due to the high quality stainless steel used in its construction.